August | 2014 | Every good thing…. UPDATE!! Yes, I have been tardy. Knocking the rust of my the blog. Were to start..
Dog Days Of Summer.. A New crew member. Charlie, our 2+ year old Jack Russell is no longer with us. He was attacked and killed by a Shepard Mix on July 6th. A pretty horrible experience. 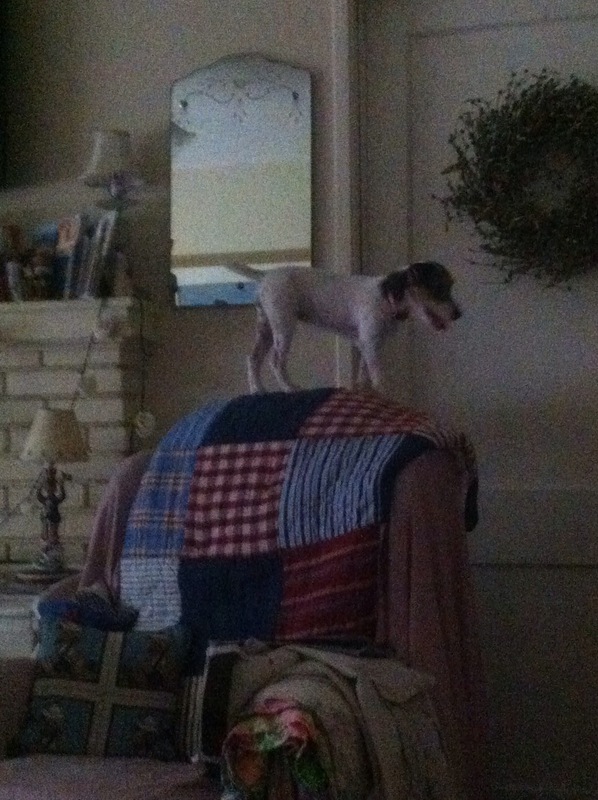 Lori and I miss him greatly and rather quickly we located another JRT. Abby was 4 months old when we bought her. She is pedigreed and papered but we don’t plan on breading her. 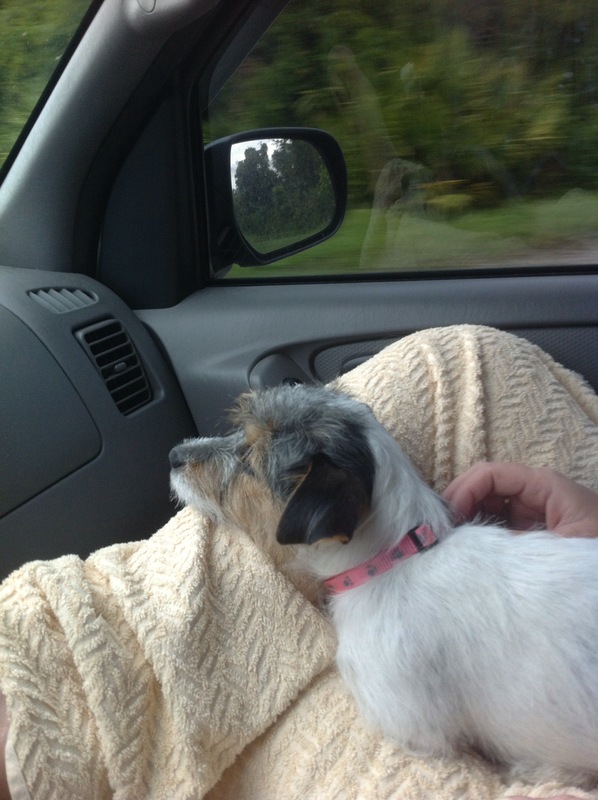 Abby on a car ride. She is pretty awesome but we had forgotten how much work puppies are. Not much has been going on. Plodding along on the Bell. Our new tiller and cover has arrived. 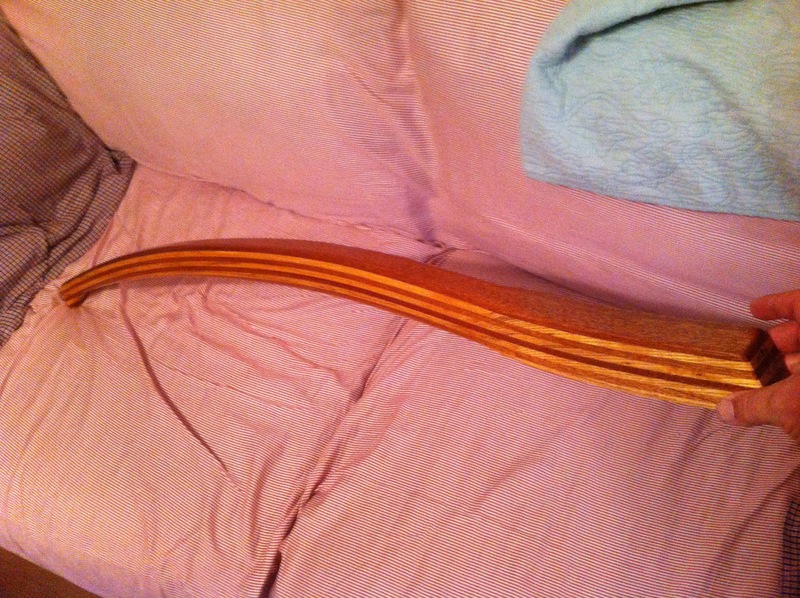 New Tiller, Pretty laminated wood. No sooner had it arrived in the house than Abby had the idea it was a good chew toy for teething on. It now sits high out of reach of the toothy puppy. Lucky for us she did not do any damage besides scaring us. We finally finished the cockpit floor. Applying a layer of Kiwi Grip and painted the gunnels. Cockpit Floor done, not the missing tiller. We also installed some Pyramid 4″ speakers in the cockpit. They work very well and we tried to place them so they would not be blocked when people are lounging about. You can see them in the first picture. 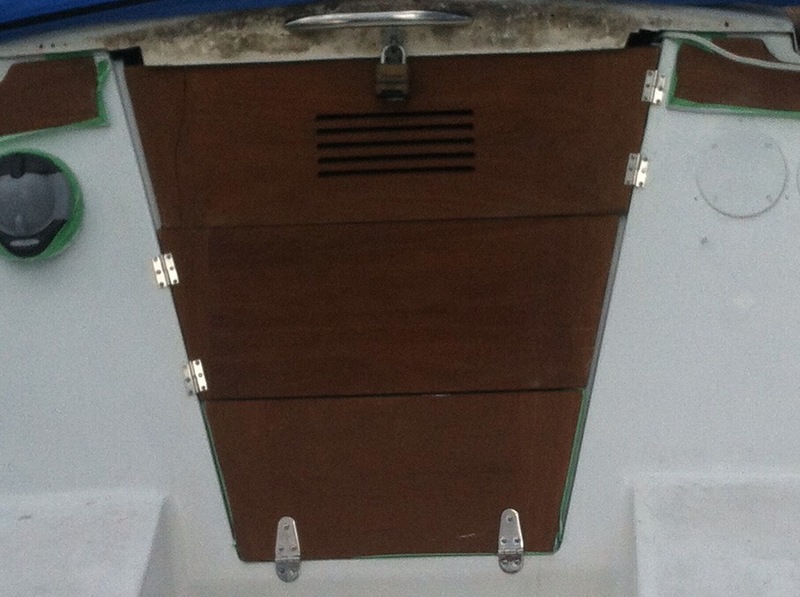 We also installed the original crib boards to replace the rotten plywood swing doors on the companionway. Hinged crib boards, also not the rotten weather board fell of the hatch above. The top two hinged boards lift off the hinges. 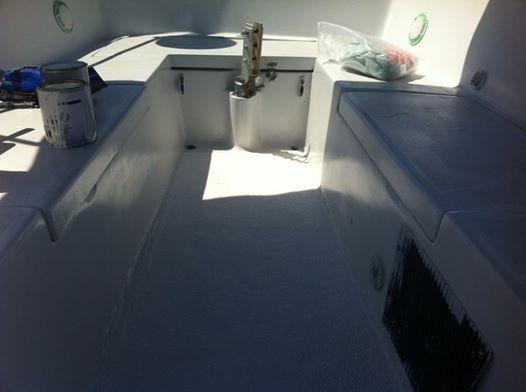 Good, as now we can remove them and install our companionway screen when out on the hook. The plywood doors were fix with non stainless hardware so in addition to rotting they were rusting. I am glad they are gone. I actually have been working on the motor. My last post I mentioned I had bought a second mill on Ebay. I have been working on breaking it down. 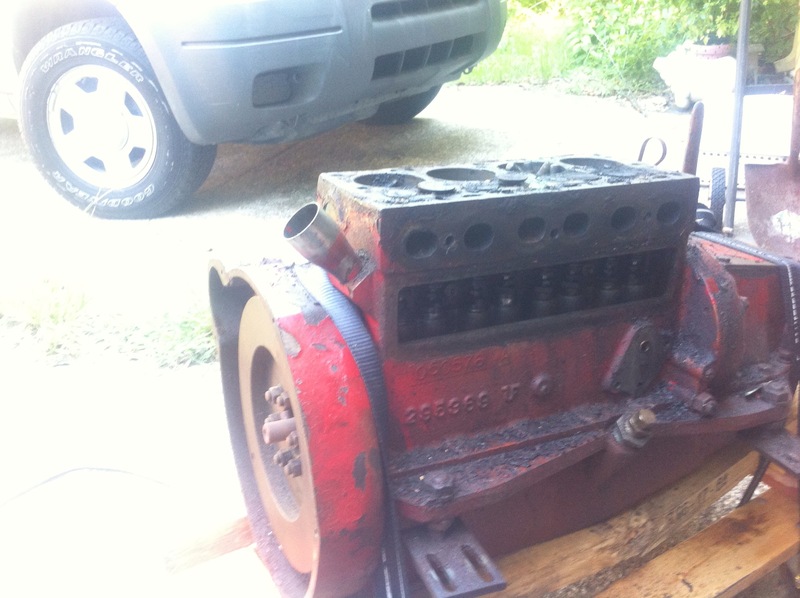 Head removed, valves pulled, studs removed. 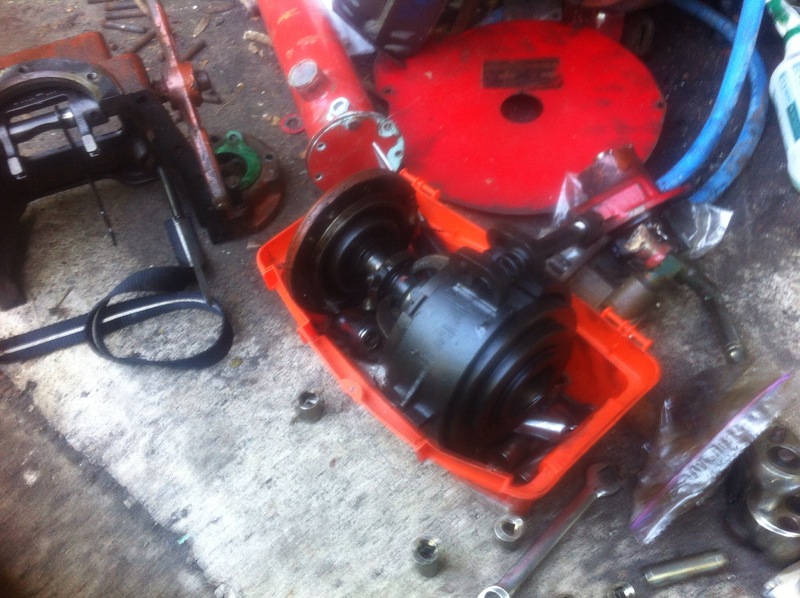 Transmission and water pump removed. 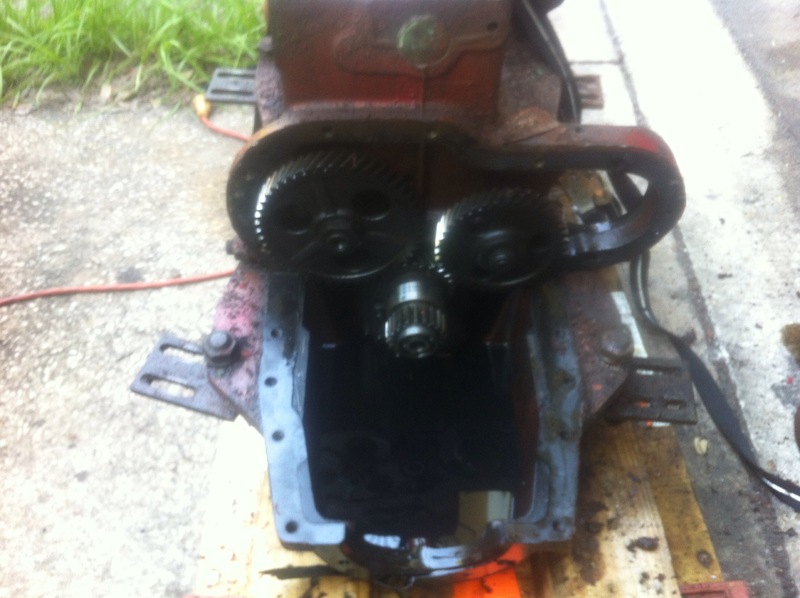 With a lot of the weight pulled off the motor I felt safer tipping it up and draining the oil out of the pan. 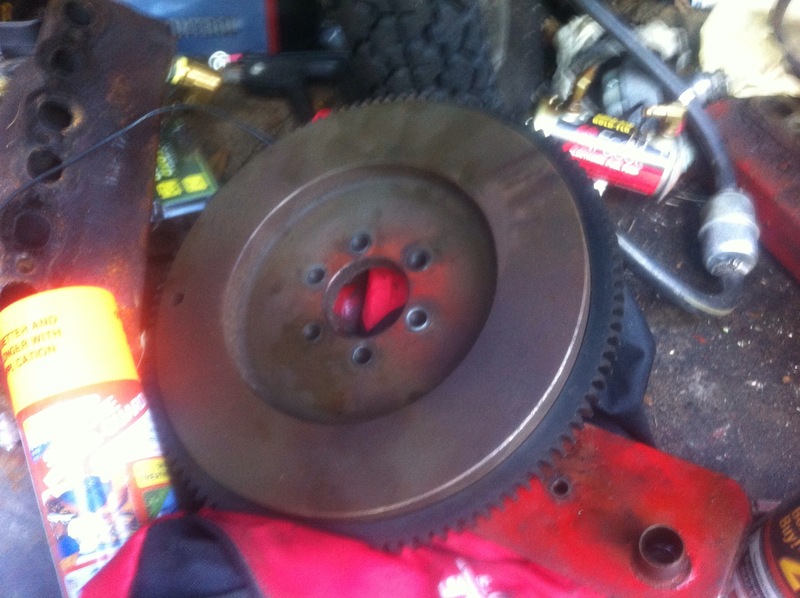 This afternoon I attempted to remove the flywheel housing. Unlucky for me two of the bolts are seized due to corrosion. I hit them with PB blaster and hope to get them out in the next day or so. 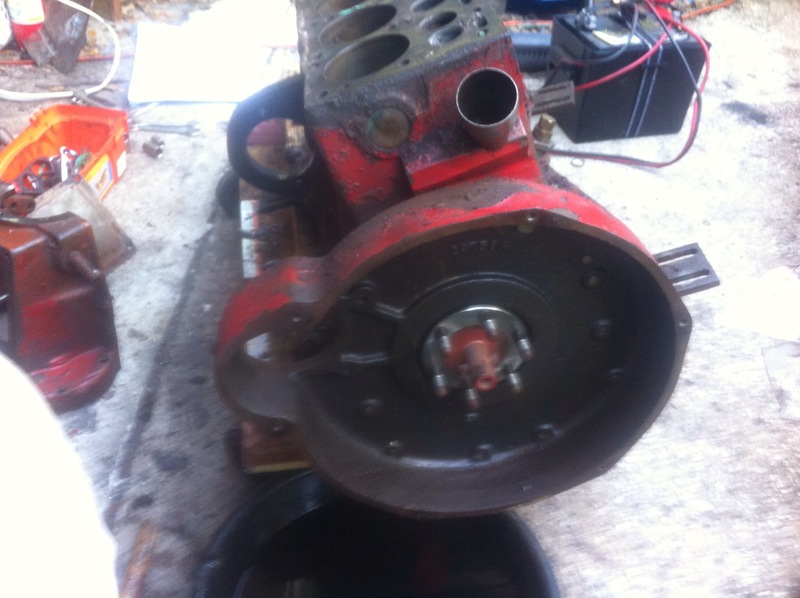 Once the flywheel housing is removed we can flip the motor over and remove the oilpan, crank and pistons. Once that is done it is off to the machine shop for new sleeve and then we start rebuilding it. Sweet. The mast was scheduled to be put down on barrels last Friday. I had to work last weekend so do not know if it has been moved of the storage rack or not. Hopefully this weekend we can start prepping and painting it. 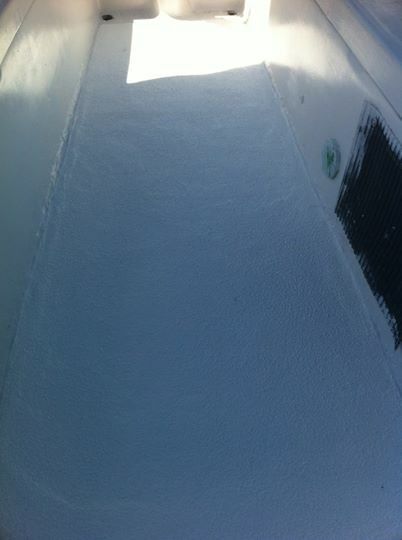 We will be rewiring and placing new spreaders, antennas, lights and other hardware.